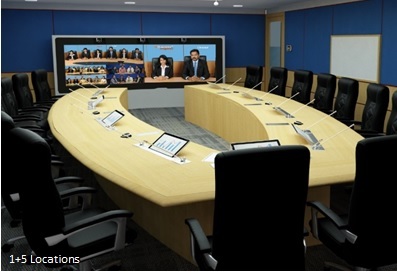 Now make your boardroom video meetings 400% more ultra-immersive by seeing participants 4 times bigger. 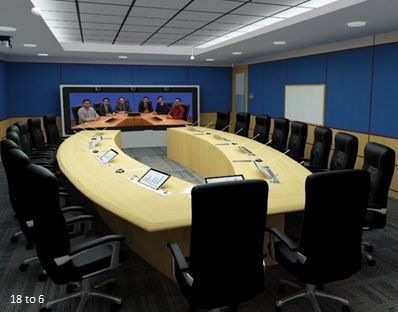 Also, making the Dynamic Telepresence & Multiple Continuous Presence possible in the boardroom! 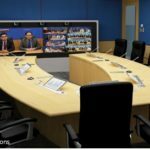 CollaboratorPOWERHUBMAXTM, is the world’s best Board room solution where business gets done in real time and at the end of the day, everyone gets to go home. 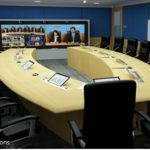 Why lose senior management time, spend large sums on travelling and lose productivity in meetings? 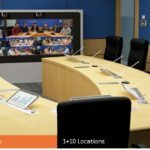 Instead walk down the ultra immersive meeting environment, take a seat, and collaborate with your remote management and leadership teams, partners and suppliers across the world. All while reading their body language all the time just as if all of you are in the same room. 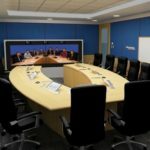 Worlds first Ultra-Immersive board meeting experience. 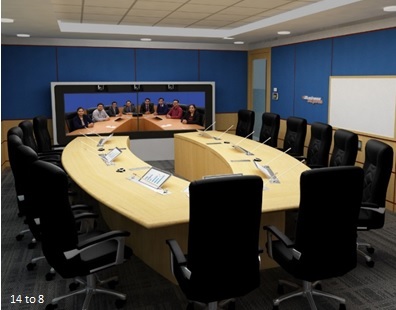 It is an upgraded version of CollaboratorPOWERHUB. Motorized speech reinforcement adds high functionality with no compromise on aesthetics. Provides the best eye contact with minimum horizontal and vertical astigmatism with patent pending technology. Also provides dual view of zoomed participants along with full room view in PIP. It eliminates the cold-shouldering and side views for higher trust with far site participants. Available with 2 presentations share, compare and annotate for better compared decision making. No of BOSPL AltraTouchContent 15.6T 7 No. 9 No. 11 No. 13 No. No of BOSPL CableCILLIN with Magikswitch 6 No. 8 Nos. 10 Nos. 12 Nos. No. 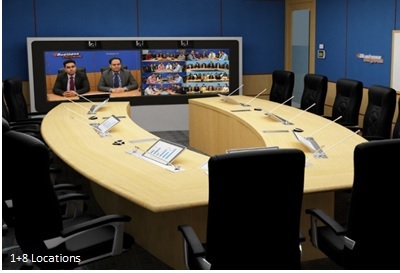 of H.323 Video conferencing 2 Nos. 2 Nos. 2 Nos. 2 Nos. 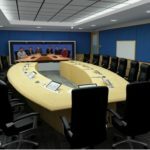 No of Mid back ergonomic conference chairs with syncrotilt 14 Nos. 18 Nos. 22 Nos. 26 Nos.